"Park and Ride" Golden Gate Bridge and The Presidio Park, San Francisco. 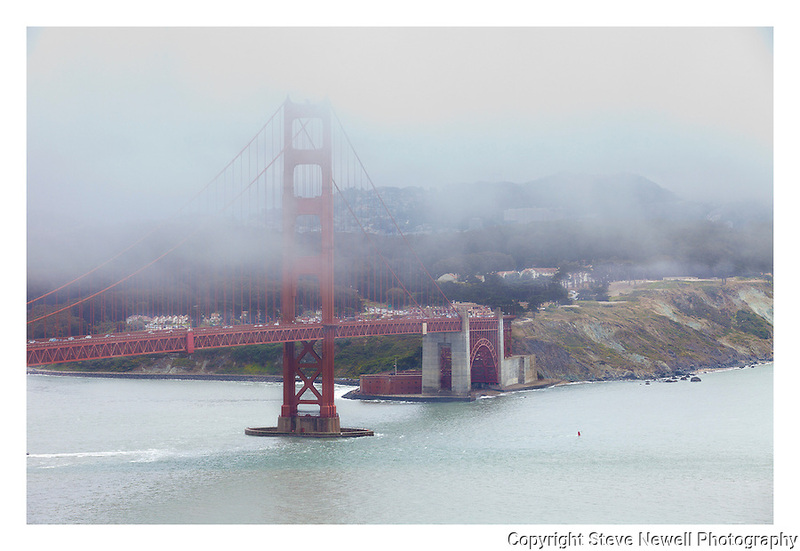 This close up of the bridge with the Presidio behind it was taken from the Marin Headlands side of the Golden Gate Bridge. This photograph is listed as a "One of a Kind" because of it's unique vantage point. I call it the often neglected Presido side of the Golden Gate Bridge. Everyone seems to shoot the headlands side with downtown San Francisco in the background. The Golden Gate Bridge is touted as the most photographed bridge in the world but no one seems to shoot the Presidio side. I was lucky to have the clouds/fog blowing in off the Pacific Ocean and changing every ten minutes.